In my Kitchen Scissors posts, we’ll talk all about healthy, real food and simple, quick ways to prepare it. Click here for my RECIPES. Click here for my REAL FOOD SHOPPING LIST. Click here for MY REAL WORLD APPROACH TO A “REAL FOOD” DIET. I joke that fruits and vegetables run through my family’s blood because I am married to the fourth-generation leader of his family’s successful wholesale produce company. Since 1910, he and his dad, his grandfather and great grandfather, have bought fruits and vegetables in bulk from farms all over the world and sold them here in Northeast Ohio to local grocery stores, restaurants, and food service companies. In the Kitchen Scissors section of my blog I will share the insight and knowledge I have absorbed over the years through him and his family about fruits and vegetables. I can teach you how to chose the best quality, most nutritious produce. I can also share helpful little tips like how to know when a melon is ripe or how to properly cut a mango, for example. Hopefully all of this information will help save you time when rushing through the grocery store or when hurrying to prepare a meal for your family. I’ll give you insider info about new varieties of fruits and veggies coming soon to your grocery store. We’ll also talk about the movement toward organic and local. I’m most excited to share with you my exploration of where our food comes from and how it gets from the field to our table. We’ll visit large corporate farms in the Salinas Valley of California, go behind the scenes at the Cleveland Produce Terminal and visit with the owners of some of my favorite grocery stores and markets. We’ll pick blueberries in the summer and apples in the fall. And we’ll visit our village farmers market where we’ll chose local fruits, veggies and herbs and prepare delicious seasonal meals. Here I will show you how I use the produce my husband brings home to create simple, healthy meals made with clean, natural ingredients. I’ll include some of my own creations as well as family recipes and my favorites from cookbooks and magazines that I have tweaked to be lighter and easy to make on the run. I will also provide my “cleaner eating” meal plans and shopping lists; what I ate to help me lose 50 pounds after the birth of our third child and what I eat now to maintain it. I say “cleaner eating” because I don’t have time, and my two-year-old doesn’t have the patience, to stand in the grocery store and obsess over every single ingredient in every single item I put in my cart. We don’t buy the “processed” junk and most of my grocery cart is filled with produce and whole, natural, “clean” foods. But, let’s be real, I’m not going to boycott the non-GMO, organic oat bran cereal just because it contains a little evaporated cane juice. In my experience, if you deprive yourself of everything and try too hard to always “be good,” you will inevitably end up binging on the cookies you made earlier that day for your kids Valentine’s party. I’ve found a balance that works for me and my family and at age 36, I am healthier than I’ve ever been. I’m excited to help you achieve the same accomplishment for yourself. It’s not about depriving yourself of entire food groups, it’s about eating nutritious, whole, real foods in the right proportions, being active and most importantly being consistent. Here, I will also share with you ideas for helping your children to eat healthy. Many people marvel at the way our three children all devour vegetables and fruit. We literally have to cut them off sometimes. We laugh when we hear ourselves say, “Ok, this is the last serving of honeydew for you tonight.” Or, “You can have some more green beans if you eat a couple bites of pasta first.” I joke that they love their veggies because it’s part of their DNA, but it really has almost everything to do with exposing your children to healthy food early in life and setting a good example by eating healthy yourself. 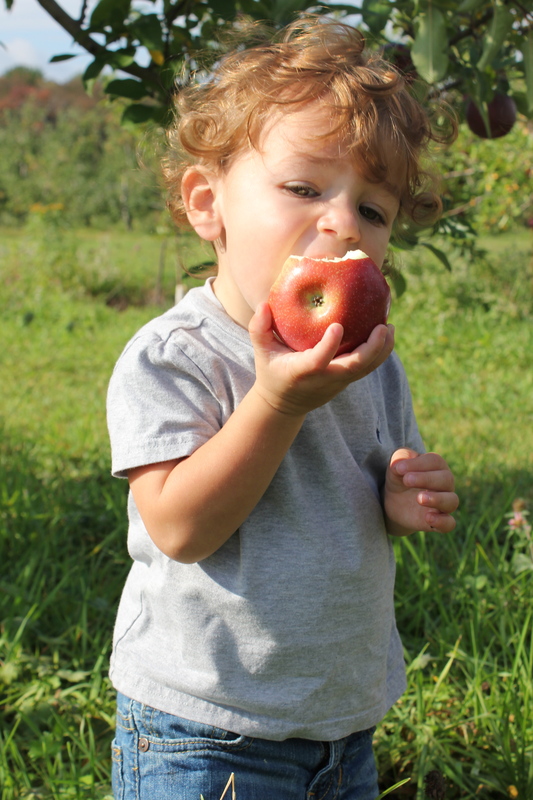 I will share with you how we’ve instilled healthy eating habits in our children. We’ll also get them in the kitchen with us helping to make simple, quick, nutritious and yummy recipes. We’ll do some baking too. That’s one area where I rarely cut corners. I usually bake everything from scratch and use all the real stuff… even butter and sugar! OMG. In my opinion, if you’re going to splurge on dessert every now and then, eat the real thing. Have a piece of the chocolate cake made with real ingredients instead of a few “Fat Free Chocolatey Brownies” full of fake food, chemicals and probably no cocoa at all.